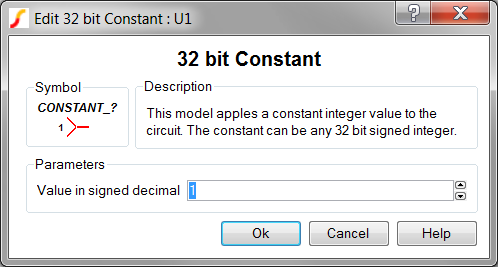 The SystemDesigner Constant Value models a fixed bus value. Use this device whenever you need to apply a fixed bus value in a SystemDesigner schematic. Value in signed decimal The constant value. This value can represent any signed integer from -2147483647 to 2147483648.